A man wanted by police could be in Sussex. William Flynn, who was jailed in Cheshire in January and later released from his sentence on licence, is wanted on recall to prison after breaching the terms of that licence, say police. 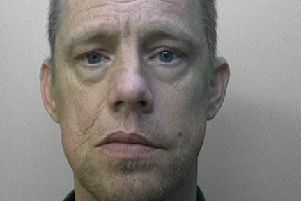 There is a chance he may be in Sussex and so officers are keen to hear from anyone sighting the 43-year-old or knowing of his whereabouts.